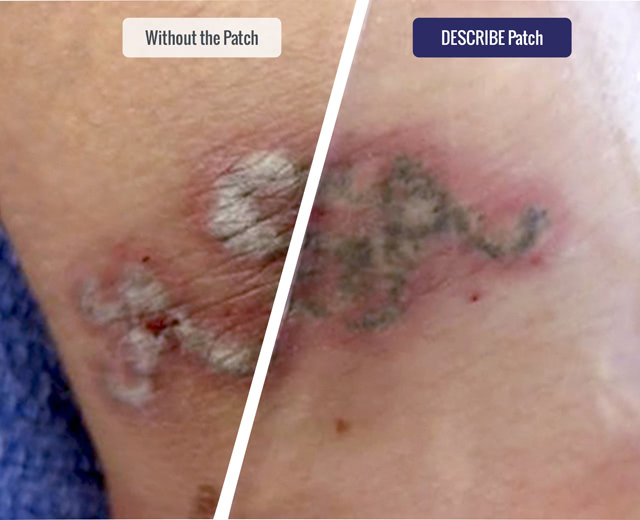 The DESCRIBE® PFD Patch is a single-use optical clearing device accessory used during laser tattoo removal. 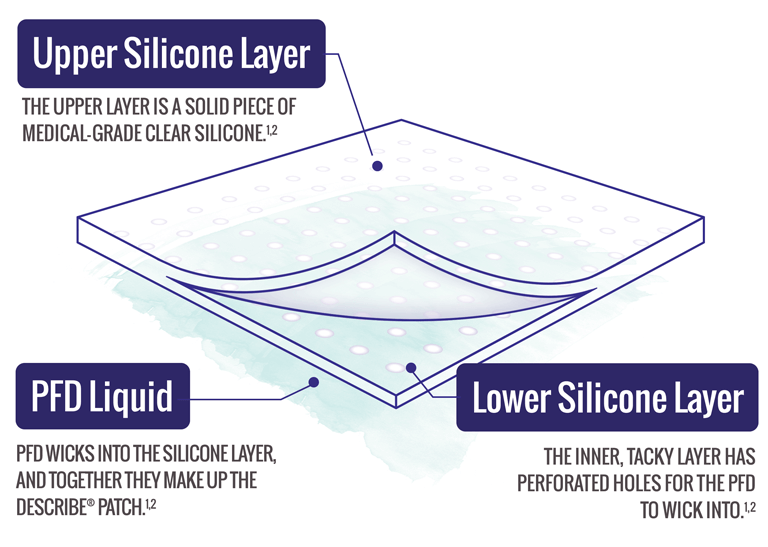 The silicone Patch is infused with the optical clearing agent perfluorodecalin (PFD).1,2 Together, this combination offers advantages for you and your patients. See how the Patch works in practice.